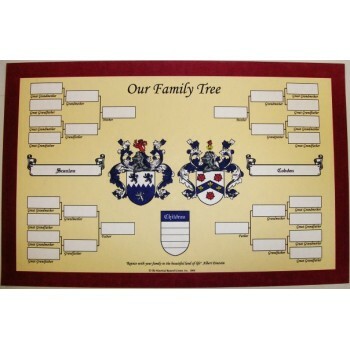 Family Tree with Double Coat of Arms- 11" x 17"
This beautiful 11" x 17" parchment scroll will allow you to outline each cherished detail of your family's heritage. 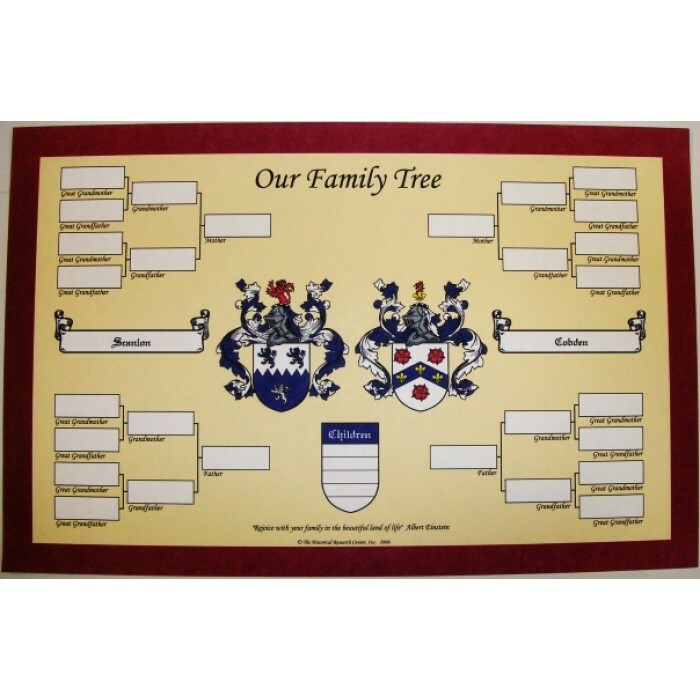 As the centerpiece, a colourful double coat of arms is faithfully rendered in the ancient heraldic tradition. Can be framed in brown.